Savour the world famous flavour of Welsh Bros. GMO-free Sweet Corn. Welsh Bros. grows two very special varieties of sweet corn. You can serve steak, but it’s our corn they’ll remember. Get the first taste of spring with Welsh Bros. Premium Asparagus. Grilled, steamed, sauteed, baked or boiled, it’s the fresh flavour of Welsh Bros. Premium Asparagus they’ll talk about. The premium flavour you know to expect, now Certified Organic. Cover crops and organic fertilizers have helped us produce a premium flavoured organic asparagus we’re proud to serve your family. Spicy or savoury, Carribean flavour grows right here in Ontario. Also called the Fairytail Pumpkin, Welsh Bros. Jamaican Pumpkins can be found in ethnic markets across Ontario, Canada, and USA. Welsh Bros. is a family farm that constantly strives to produce the highest quality, best tasting produce possible. Farming in Southwestern Ontario since 1855, our love of the land has been in the Welsh family for many generations. We have a long standing tradition of growing mouth-watering GMO-Free Sweet Corn, Asparagus, Organic Asparagus and Jamaican Pumpkins in Scotland, Ontario. Our goal here at Welsh Bros. is simple: to provide the best produce we can, to be proud of what people bring home to their tables and provide them with the freshest most flavourful local food for their family and friends to remember. Welsh Bros. produce is available at many of the fine fresh fruit and farmers markets across Ontario, as well as some out-of-province locations.  When in season, click the “Where to Buy” links to find Welsh Bros. retailers near you.